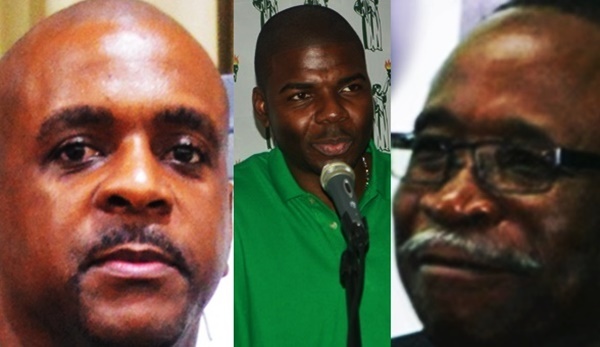 The highest decision-making body of the Opposition Virgin Islands Party (VIP), Congress, will meet in an effort to settle the latest public dispute between the party’s chairman Andrew Fahie and his predecessor Julian Fraser. “The Congress of the Virgin Islands Party is the supreme law-making body of the party and should be afforded the respect that is deserved,” VIP President Dr Natalio ‘Sowande’ Wheatley announced. Fraser and Fahie are known to be at daggers drawn. They are now embroiled in a second round of public controversy over which of them should be Leader of the Opposition. Fraser currently holds that constitutional post, but the VIP executive is seeking to have him replaced by Fahie. That move comes after Fahie, in a VIP election late last year, dethroned Fraser as chairman of the party. Fahie thinks he should be Leader of the Opposition mainly because he is Chairman of the VIP. However, as Fraser has been arguing, being Chairman of the VIP has absolutely no constitutional bearing on who is appointed Leader of the Opposition. The party has asked Governor John Duncan to choose between the two arch rivals – a move that Fraser said is embarrassing. Yesterday, Fraser went as far as to claim that ‘there is a serious issues of trust’ in the VIP, and that he was ‘deceitfully unseated’ as chairman of the party. Hours after that claim was made publicly, the VIP president, Dr Wheatley, in a media release, decried the public war of words. “The party is committed to the process of mediation between the Chairman and Hon Fraser aimed at resolving the impasse between the two members,” Dr Wheatley said further yesterday. Meanwhile, the proposal for both feuding VIP members to engage in a mediation process was first made last week by Fahie. Fahie – among other things – has accused Fraser of not communicating with the executive of the VIP; an issue that he thinks may result in the political organization being trounced a third consecutive time when the next general election is held.